INCREDIBLE PERFORMANCE - The battery features rapid charge, long run time and a high capacity rating of 1600mAh. WIDE APPLICATION USAGE - Works with various popular RC and electronic devices. COMPATIBLE CHARGERS - Use our popular Tenergy TB6B Balance Charger or TB6AC Balance Charger for optimal performance. INCREDIBLE PERFORMANCE - 1600mAh high capacity RX battery with Hitec connector delivers 6V of power. The long runtime and rapid charge features means you can spend more time with your hobbies. 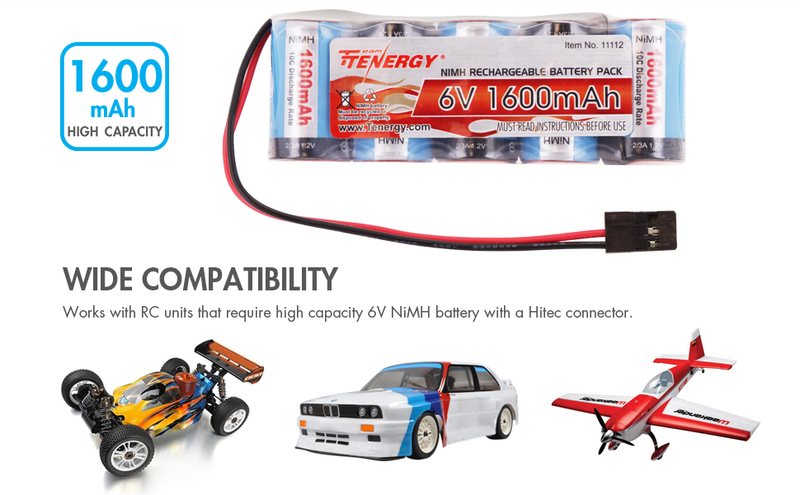 WIDE COMPATIBILITY - The Tenergy 5 cell flat pack with Hitec connector works with many popular RC cars and RC airplanes receivers. LIGHT WEIGHT BUT POWERFUL - Our 6V NiMH battery weighs only 131g and measuring 84 x 30 x 17mm but packs in 1600mAh of battery power and runtime. 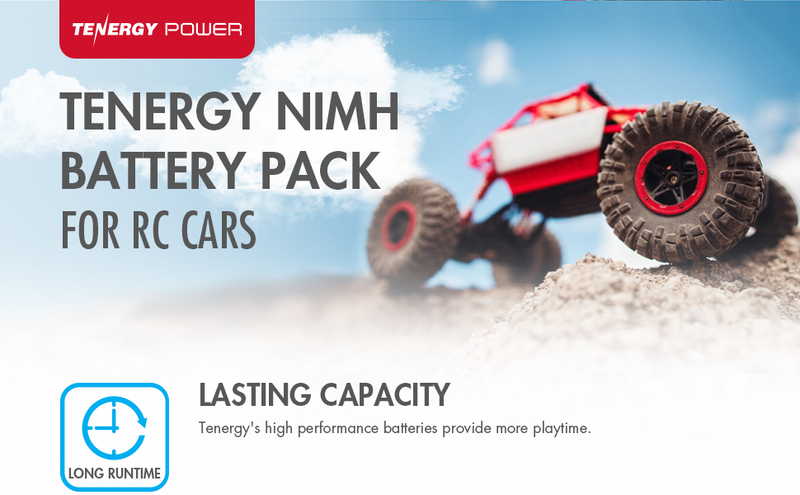 QUALITY CONSTRUCTION - Built with Tenergy's high standard, this NiMH flat receiver battery pack is made from high quality cells arranged in a side by side of 5 x 2/3 A size batteries and recharges up to 1000 cycles.